The high alpine valley of Langtang inhabited by a yak herding people closely related to Tibetans, lies in north of Kathmandu, it is preserved as Langtang National Park. Trek starts from Dhunche follows the pine and rhododendron forest, the valley of the rushing Langtang Khola. Final destination is Kyanjin Gompa, a lonely Buddhist Monastery near the valley’s head. Above here, glaciers meet alpine meadows filled with grazing yaks and ringed by giant mountains. Day hiking brings you to top of 5028 m height rocky hill, Tserko Ri. It offers an excellent view of Himalayas including single 8000 m of Tibet Shisa Pangma in the clear day and other 7000 m and 6000 m peaks Langtang Lirung 7246 m and many more. This valley is named after the name of Himalayan Langtang Lirung. This trekking returns same way down to Syabru village and climb to the pilgrimage site of Sacred Lakes, Gosaikund. Trail follow to beautiful Sherpa village of Helambu crossing over Lauribina Pass (4610 m) and end trekking at Kathmandu valley. 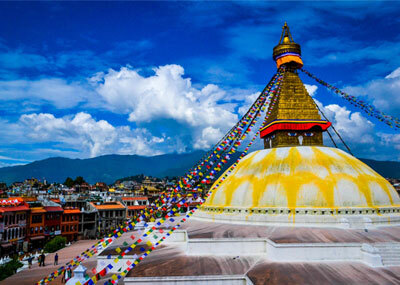 Day 02: Kathmandu - Sightseeing. Day 03: Katmandu - Dhunche 1950 m. by bus. Day 04: Dhunche - Syabru 2130 m. approx. 5 h.
Day 05: Syabru - Lama Hotel 2390 m. approx5 h.
Day 06: Lama Hotel - Langtang 3520 m approx. 5 h.
Day 07: Langtang - Kyangin Gompa 3850 m. approx. 3 h.
Day 09: Kyangjin Gompa - Lama Hotel 2480 m. APPROX. 5 H.
Day 10: Lama Hotel - Syabru 2190 m. APPROX 5 H.
Day 11: Syabru – SinG Gompa 3350 m. APPROX. 6 H.
Day 12: Sing Gompa - Gosaikund 4380 m. APROX. 5 h.
Day 13: Gosaikund - Laurebina pass - Ghopte 3430 m. APPROX. 6 h.
Day 14: Ghopte - Tharepati - Melamchi Gaon 2530 m. APPROX. 6 h.
Day 15: Melamchigaon - Gangjwal 2500 m. APPROX. 5 h.
Day 16: Gangjwal - Kakani 1800 m APPROX. 5 h.
Day 17: Kakani - Melamchipul (890 m) in 3 h. – kathmandu. Maximum Altitude: 5028 m./ 4610 m.